Check out this great write up from the European online publication and art site WideWalls. A special thanks to Elena Martinique in the Art Exhibitions department there! What we often tend to forget is that artworks we adore are a final product of many moments of creative inspiration and a long and strenuous process of contemplation and production. These aspects of artists’ daily routine in the sanctuary of their studio are the inspiration for the artist Joe Fig. 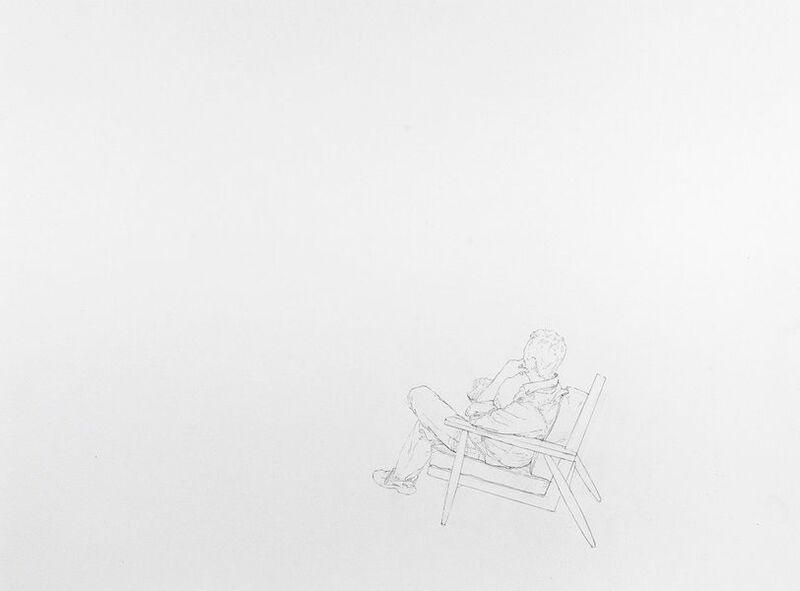 Joe Fig exhibition at EBK Gallery will present his new series of drawings exploring those quiet moments of contemplation when artists are immersed in their works. 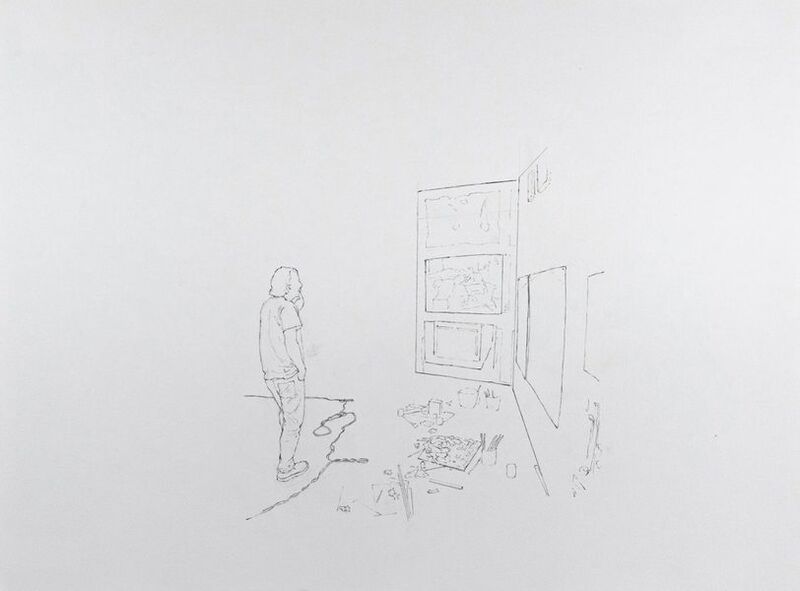 These drawings are based on the studio visits that have served as an inspiration for his recent book Inside the Artist’s Studio. Involved in the life-long exploration of the working lives of professional artists, Joe Fig has visited over 120 artists in their studios discussing their practice with them. He translated these observations into a body of paintings, sculptures and drawings that were included in his book Inside the Artist’s Studio. Celebrating the creative process as well as the mundane tasks involved in the art practice, Fig’s works are rich in small details revealing a lot about the artist and his practice and inviting the viewer to revisit the works again and again. 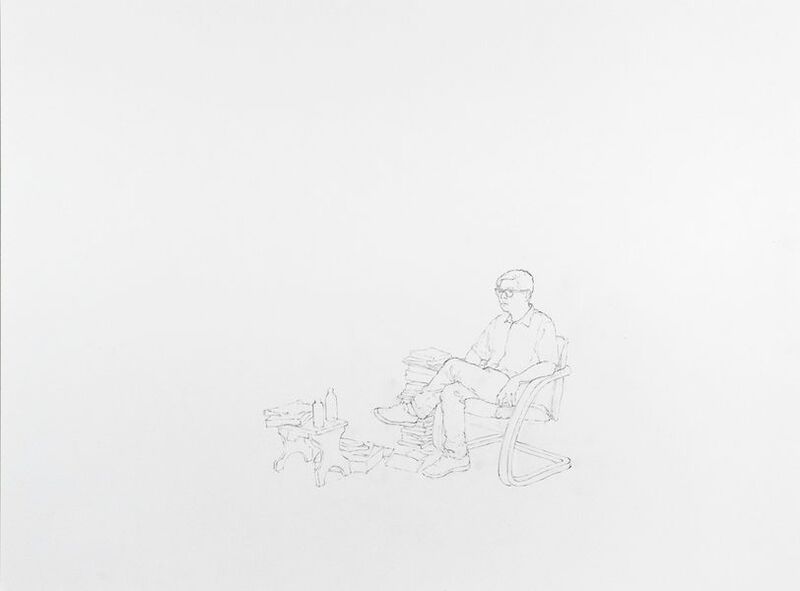 This new series of drawings is another product of these studio visits. Encompassing painting, sculpture, photography and drawing, the work of Joe Fig often explores the role of the artist, the creative process, and the self-made universe of the artist’s studio. Recreating or imagining peeks of the work of various artists, Fig offers his view of the studio itself as well as the portrait of the artist. He has depicted many famous artists immersed in the artistic creative process and production including Edouard Manet, Vincent van Gogh, Barnett Newman and April Gornik. In addition to his bookInside the Artist’s Studio, he has also published a book entitled Inside the Painter’s Studio where he also included the recreations of these studios, documentary photographs, interviews describing the artistic processes of leading contemporary artists. The work of Joe Fig has been a subject of numerous international exhibitions including the shows at Bruce Museum, Bass Museum of Art, Parrish Art Museum, Toledo Museum of Art, Pennsylvania Academy of Fine Arts and New Britain Museum of American Art. The exhibition Drawings will be on view at EBK Gallery in Hartford from May 2nd to May 30th, 2016. The art reception will be organized on Friday, May 6th from 6pm to 8:30pm. Fig’s book Inside the Artist’s studio takes the reader on a wonderful journey through various artist studios and their creative practice. 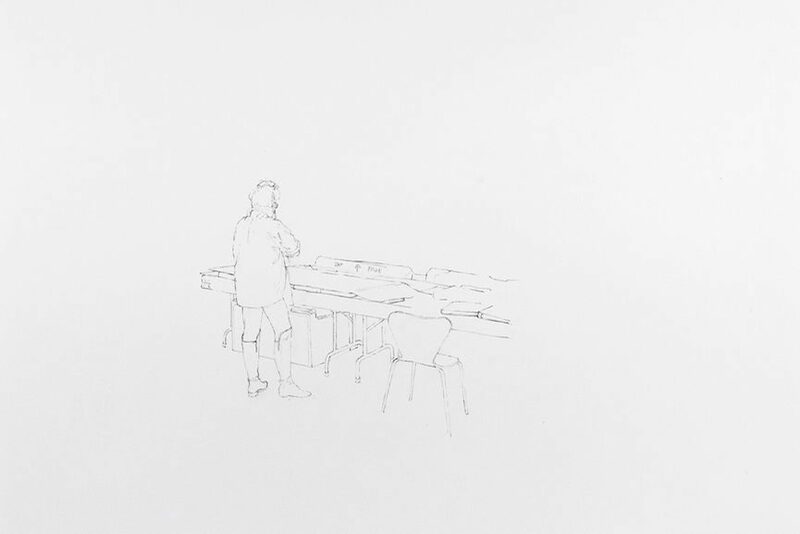 What was their first artwork to receive recognition, what materials did they use, how did they come into their practice, what advice would they give to a young artist just starting out – these are just some of the questions Joe Fig has posed a wide range of celebrated contemporary artists. Documenting these inspiring visits and creating a new body of artistic works based on them, Inside the Artist’s Studio is a remarkable collection that followed his acclaimed book Inside the Painter’s Studio. Explore the practice, tools and techniques of twenty-four painters, video and mixed-media artists, sculptors, and photographers as well as their strategies and habits including the music they listen to, the hours they put in, relationship with the people they are surrounded, and much more. Featured images: Joe Fig – Contemplation Kate Gilmore; Joe Fig – Contemplation Eve Sussman; Joe Fig – Contemplation Ellen Carey; Joe Fig – Contemplation Carol Dunham; Joe Fig – Contemplation Alois Kronschlaeger. All images courtesy of EDK Gallery.